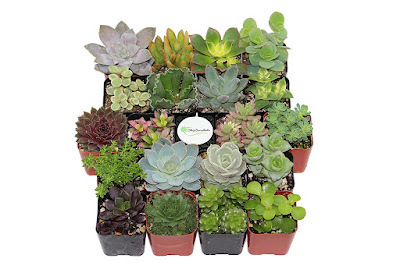 Today, December 2nd only, Amazon is offering up this highly rated Unique 20-Piece Succulent Collection (varieties will vary depending on season) for only $27.99 – making each plant only $1.40! Each plant is different and is mailed in a 2″ pot with soil. All succulents are drought tolerant plants that are easy to care for and require very little attention.